The wild world we love is fast disappearing. 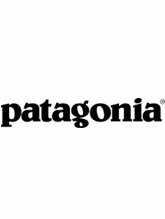 At Patagonia, we think that business can inspire solutions to the environmental crisis. This means that what we make and how we make it must cause the least harm to the environment. We evaluate raw materials, invest in innovative technologies, and rigorously police our waste. Take a look at the Common Threads Initiative, bluesign Standard, the Footprint Chronicles and more. We also use a portion of our sales to support grassroots groups working to make a real difference (our “Earth Tax,” to mitigate the damage we do).